Sire's Page Dam's Page More . . . soon! Sire: TX TwinCreeks E Edge Of Night +B Dam: TX TwinCreeks B Pretty Pyro More . . . The majority of the kids will be priced at $350 to $450. Our polled and/or blue-eyed kids may be priced slightly higher than comparable brown-eyed, disbudded kids because of the greater demand for blue eyes and polled kids. For example, a blue-eyed or polled doe kid with good conformation out of a quality doe may be priced as high as $400. Kids out of finished champion does and does with official championship ADGA legs will be $500 to $750. I would be happy to quote you a more exact price on a particular breeding. Please trust that our lower prices on kids (compared to some breeders) are not a reflection of lower quality animals. Our does are proving themselves in both the show ring and the milking parlor. For example, we have been honored to receive the “Premier Breeder” and “Premier Exhibitor” banners for nine years at the Oregon State Fair. If you would like to reserve an unborn kid from a planned breeding, please send a $50 deposit for each breeding stock kid you wish to reserve. A $25 deposit is required to hold a wether until it is ready for sale. If your selected kid is not available, you are welcome to transfer the deposit to another animal, save it for the following year, or receive a full refund of your deposit. 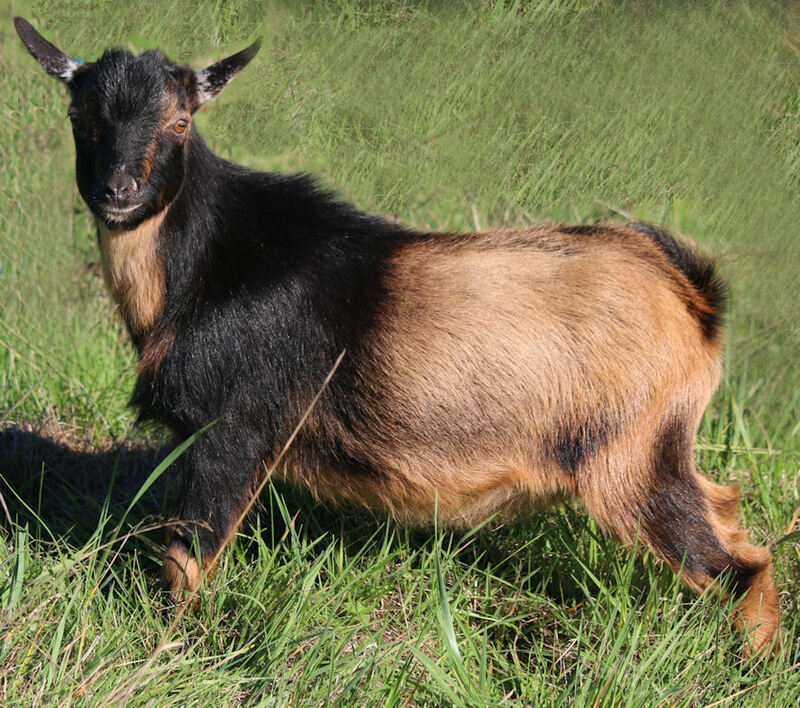 A $100 deposit is required to hold a weaned kid or mature goat for 15 days while you arrange transportation. All deposits are non-refundable but are transferable to another animal for a period of one year. 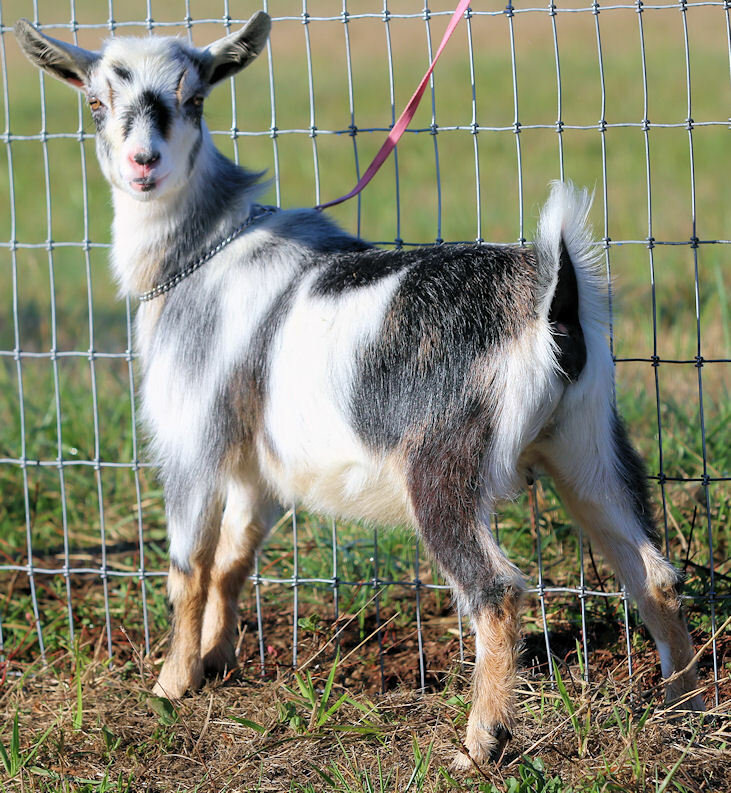 We may be able to hold your reserved goat longer than 15 days (if arrangements are made in advance) for a fee of $1 per day. Thanks! I will email you when I receive your payment. As is the norm in the animal industry, all expenses, including shipping, travel crate, health check up, health certificate, and any further testing (required by you or the state you live in) are your financial responsibility. Please call airlines for up to date costs and requirements. We guarantee the fertility of our breeding animals and will replace an infertile doe or buck. A statement from a veterinarian will be required to establish that the infertility is of genetic origin and not due to lack of proper care. Our goats are healthy when they leave our farm. However, because we can not control the stress of shipping and the animal’s management and environment after it leaves our care, we can not offer further health guarantees. Here is what we do NOT guarantee, although we wish we could! No one can accurately predict the mammary system of a doe kid so unfortunately, it can not be guaranteed. We are striving to produce does with excellent mammary systems and will give you our best educated guess on a doe kid’s potential. Furthermore, every breeder can also only give an educated guess on how a young animal will develop as it matures. Therefore, we are unable to offer a height guarantee. So far, we have not had any of our does grow taller than the ADGA height limit of 22 1/2 inches. We test annually for CAE through Oregon State University where the most accurate CAE test (ELISA) is used. The herd is all CAE negative and has tested negative since we started testing in 2001. Our most recent complete herd CAE testing was done in Feb. 2019. The herd has also been tested negative for Johnes and CL but I don’t test for these diseases on a regular basis, although I watch the herd closely. The herd is dewormed and vaccinated on a regular basis. decide not to get a goat, your deposit is NOT refundable. If you would like to reserve wether kids, the deposit is $20 per kid. Thank you for taking the time to consider our goats as a potential new addition to your herd. 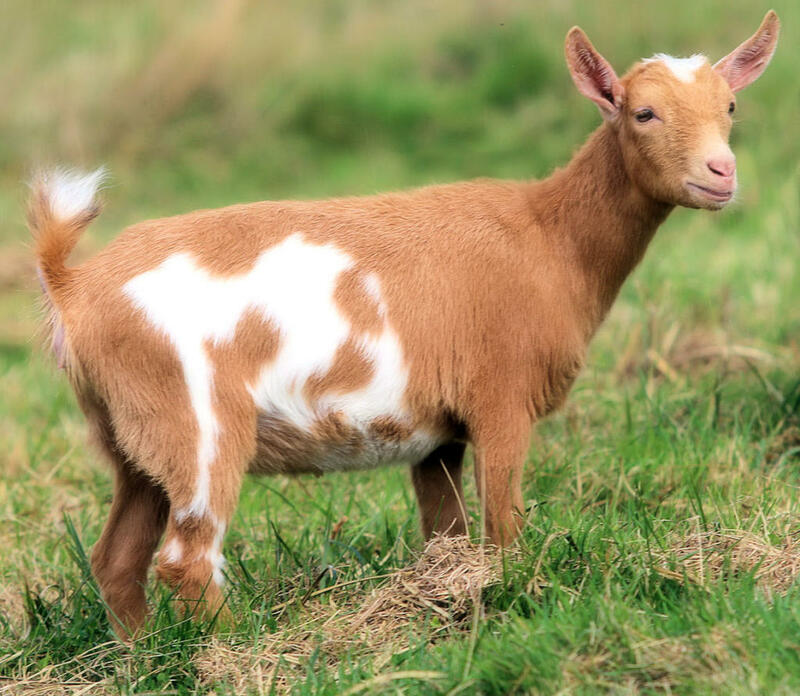 If you decide to purchase any of our animals, we will work with you to insure that there is a smooth transition for your new goat(s) when you purchase them. We love to stay in touch with our customers (and potential customers too!) and look forward to getting to know you. Our customers are very important to us and we rely on word of mouth for much of our advertising. We are totally hooked on these wonderful little dairy goats and plan to be in the business for a long time.